Wine is a central component to the culinary celebration held every fall is Epcot, heck it’s right there in the name, International Food & Wine Festival. However, the flow of beverages does not stop simply at wine, there is a smorgasbord of world beers and specialty drinks. The cocktails can be quite refreshing on a warm afternoon in World Showcase, or on your back porch. 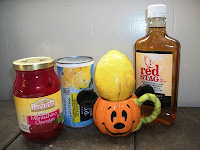 Today, we’re going to mix up a batch of the Frozen Jim Beam Red Stag Lemonade. Pour Red Stag and lemonade concentrate into a blender with 1 cup of ice. 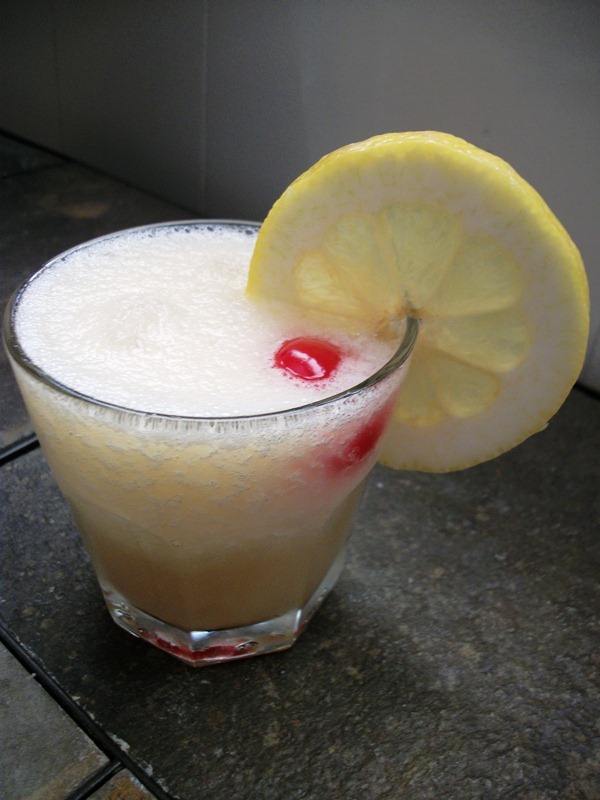 Pour into glass and garnish with lemon slice and cherry. This USA kiosk slush is a variation on another lemonade bourbon beverage that I’ve had in the Wilderness Lodge’s Territory Lounge. The main difference here is the frozen lemonade, as opposed to a variety of cold juices. The concentrate, even cut with ice, is enough to make you pucker instantly! The recipe does not state which of the three Red Stag variations to use, as it comes in Black Cherry, Honey Tea, and Spice with Cinnamon varieties. Any of the Red Stags, the notes say, are perfectly fine. Given the inclusion of a cherry garnish, I opted to start with the Black Cherry. The lemon overwhelms the cherry flavor in the beginning, but you get the subtle hint of the cherry as a lingering aftertaste. For comparisons sake, we did try the other two types of Red Stag in the beverage. The Honey Tea added a syrupy-sweet element that definitely made it our favorite version. Meanwhile, the Spice with Cinnamon had a bit too much cinnamon for my taste, and seemed to overpower the beverage, making it our least favorite incarnation of the lemonade. Frozen lemonade is a common cure for the suffocating heat that can easily overtake Walt Disney World, and adding a splash of liquor to the mix is also not uncommon. This tart and frosty cold beverage is an excellent palate cleanser whether you are in your own home or around the food concourse of World Showcase. I prefer the less sharp flavors associated with the lemonade at Territory Lounge, but the Frozen Jim Bean Red Stag Lemonade will certainly do in a pinch!